There’s no need to drive for hours to find the perfect holiday spot. We’ve discovered these stylish city stays right on your doorstep, and we’ve managed to secure some irresistible travel offers, just for you! On trendy Long Street, amidst Cape Town’s dynamic, bustling culture scene, a slick city high-rise with a glowing cerulean sign waits to welcome guests. Each of the 20 rooms are streamlined yet homey, and although there’s a choice between four types of suites, a Twin Room is best for you and your bestie. With two single beds, views of the mountain peeking over the Mother City’s unique architecture, and a sliding door leading into the expansive Italian marble bathroom, you two will be celebrating your friendship in style. If you want to start your morning with a sun salute, the hotel can arrange a morning gym session at nearby facilities. In the afternoon, don’t miss a walk in The Company’s Garden, which is a five-minute amble away from the hotel. 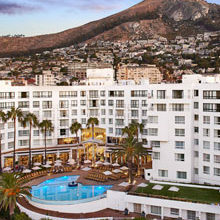 Later, arrange for an in-room manicure (from R290pp) before hitting the town for dinner and cocktails. Quote ‘w&hUrbanChic’ when making your reservation to receive a 5% discount on the booking rate and a complimentary bottle of sparkling wine. Rates subject to change; standard T&C’s apply. 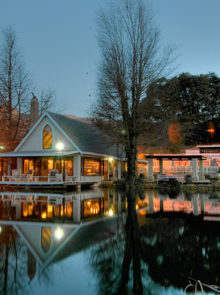 To book, or call 021 426 6119; see their website. Beautifully traditional from the outside with its classic white exterior and blue-tiled roof, this stunning guest house contains a contemporary world inside. 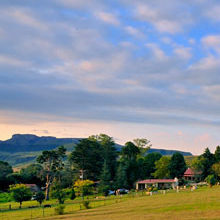 There are three uniquely themed double rooms, and all have the luxuries of en-suite bathrooms and walk-in cupboards. Decked out in romantic Colefax and Fowler floral-chintz fabric, The Rose Room is classic, with a view of the rose garden. Wake up in the cheerful, brightly-coloured space of Victoria’s Room, where the quirk is made all the more charming by the rubber ducks surrounding the bath begging to be filled with bubbles. From The Black and Yellow Room’s modern, striped monochrome interior – accented by pops of lemon – peer out into the front garden, where agapanthus and hydrangeas are in full blooming glory. 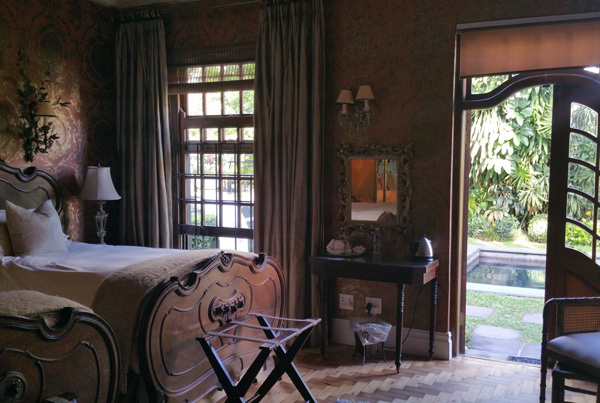 Even though 33 Melville Road is at the height of convenience in Joburg’s Hyde Park, the guest house is so well-equipped that you won’t need to leave for a thing. Keep the endorphins flowing at the fitness centre, pool and tennis court. For those after R&R, the library, sun terrace, and personal make-up and beauty services will be a dream. 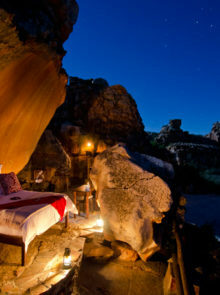 After a day’s pampering, grab a blanket, pour two glasses of wine, and snuggle on the lawn bench, watching the sunset. Quote ‘w&h33Melville’ when making your reservation to receive a 40% discount on the booking rate (for two nights or more). Valid until 1 September 2018; standard T&C’s apply. To book, or call 011 447 5611; see their website. The Neuk is perfectly at home in the tree-lined streets of this fashionable Durban suburb. 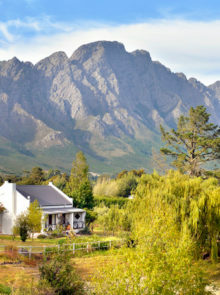 This lovely Cape-Dutch-style house offers old-world splendour for modern guests in one of four rooms. After a full English breakfast served outside on the pretty communal patio, head off to your room, which invites nothing but leisure. Here, recline on a queenly window-side chaise lounge with a cup of tea in hand, and allow yourself to relax. Durban’s balmy autumn means an afternoon swim in the guest-house pool is an option, or simply grab a drink from the ‘honesty’ bar and sit back to read a newspaper in The Neuk’s comfortably spacious lounge. The stunning Jameson Park is a five-minute stroll away, and getting lost in the majesty of its 200 rose species is an ideal outing, especially if you pack a picnic to enjoy on one of the flower-lined lawns. The adjacent Mitchell Park Zoo (the only one of its kind in Durban) is also a must-see. Wander past enclosures of buck, crocodiles, wallabies and monkeys, and don’t forget to stop by Admiral, the park’s resident tortoise since 1915. For a late-afternoon excursion, visit the African Art Centre to view works by local talent. Quote ‘w&hThe Neuk’ when making your reservation to receive a 10% discount on the booking rate. Valid until 31 December 2018; standard T&C’s apply. To book, or call 031 312 2788; see their website. A recently renovated 1929 fisherman’s cottage, Thalassa will take you back in time with its Oregon pine floors and old-world furniture for the peace-of-mind stay you need. The endearingly rustic three bedrooms and one-and-a-half bathrooms make the cottage ideal for a group of five family or friends. No doubt about it, everyone will enjoy escaping to the private deck and garden for a breath of fresh air, and being lulled to sleep by crashing waves. Since the cottage is located within the Cape Point Nature Reserve, you can step out your front door and straight into a natural paradise. Although a day can easily be spent in the reserve with a picnic, you’re only a 10-minute drive from Simon’s Town and it would be a shame not to explore other nearby attractions like Admiral’s Waterfall, Boulders Beach, and Miller’s Point tidal pool. The beauty of the Cape is right at your fingertips. 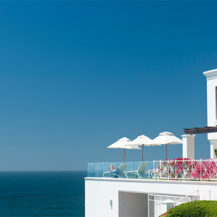 Quote ‘w&hThalassa’ when making your reservation to receive a R500 discount on the booking rate. Valid until 30 September 2018; standard T&C’s apply. To book, or call 021 786 1118; see their website.